EVERY MORNING, TheJournal.ie brings you nine things to know with your morning cup of coffee. 1. #DETAINED: Former junior minister Ivor Callely remains in custody at Irishtown Garda Station this morning after his period of detention was extended by 12 hours after midnight. He was arrested at his home in Clontarf yesterday in connection with an investigation into mobile phone expenses. 2. #IRISH SOPA: The proposed legislation to allow copyright holders protect their online content has caused controversy in the past few days. Although the legal wording has not been released and despite Government assurances that there is “no intention” of restricting the freedom of internet users, people fear that the laws could lead to websites and ISPs being blocked. TheJournal.ie has sought out both sides of the debate. 3. #APOLOGY: Our Lady’s Children’s Hospital Crumlin has apologised to the parents of a two-year-old boy who died after a routine surgical procedure seven years ago. The Irish Examiner reports that Jean and Stephen Nowlan received an undisclosed High Court settlement yesterday but said they were still ready to complain to the Medical Council about the senior doctor at the centre of the case. 4. #ADVICE: The Fiscal Advisory Council has told the Government it should not enshrine proposed new fiscal rules in the Constitution. The Irish Independent reports that the independent body said that Budget rules should be given legal force but not constitutional status. 5. #NAMA: Treasury Holdings is in the High Court today to seek permission to challenge the appointment of receivers by NAMA. The company’s owners Johnny Ronan and Richard Barrett said they were disappointed with the agency for appointing receivers to multiple property assets, according to RTÉ. 6. #CHEESE PLEASE: Following a report that classifies cheese as less healthy than diet coke, the Broadcasting Authority of Ireland is considering restricting television advertising of cheese products to children. The proposal has been met with criticism by the Department of Agriculture and the National Dairy Council, according to the Irish Times. 7. #BRAZIL: Two buildings collapsed inexplicably in Rio de Janeiro last night, trapping a number of people and leaving rubble strewn across a large area of the Brazilian city. The mayor cast doubts over initial reports that a gas leak caused the accident, stating that it could have happened because of structural damages. 8. #BREAST IMPLANTS: Police sources in France have said that Jean-Claude Mas, the owner of the breast implant manufacturer at the centre of a health scandal, has been arrested, reports BBC News. Mas’s company Poly Implant Prothese made tens of thousands of implants with industrial silicone instead of the more expensive medical-grade silicone required. 9. #SLOGANS: Just Do It! (Nike), Have a Break, Have a Kit Kat, and It Does Exactly What it Says On The Tin (Ronseal) – some slogans have done more than just advertise a product – they have entered our everyday language. However, there is one that has topped Creative Review magazine’s list. Can you guess what it is? 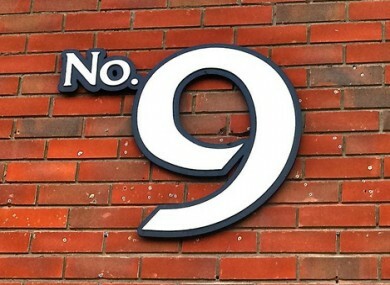 Today’s 9 at 9 image today comes courtesy of reader Hilda O’Brien. If you have any great 9 images (or, indeed 5s for TheJournal.ie’s 5 at 5), send them to us at tips@thejournal.ie.